My work is not particularly risky or experimental but it is hard to characterize. I don't know how to judge it. I guess my process is somewhat experimental because I haven't settled into one particular style over a period of years. From Pam Hall: A Creative Artist with Bureaucratic Insight by Geoff Dale, The Sunday Express, Jan. 17, 1988, p.22. Pam Hall is a visual artist, filmmaker, and writer living in St. John's, Newfoundland and Labrador. Hall was born in Kingston, Ontario, in 1951. She holds a Bachelor of Fine Arts degree from Concordia University (1973) and a Master of Education from the University of Alberta (1978). She moved to St. John's in 1973, where she taught art and later worked as a senior civil servant for the provincial government. Hall served as art consultant for the Department of Education and as chairperson of the Provincial Task Force on the Arts in Education. Her first project as illustrator came in 1977, with the publication of the best-selling children's book Down By Jim Long's Stage. Written by the acclaimed writer and humorist Al Pittman, it was the first hard-cover, full-colour children's book published in Newfoundland. Hall's illustrations won the Canadian Library Association's Amelia Frances Howard Gibbon Award. In 1982, she wrote and illustrated the children's book, On the Edge of the Eastern Ocean. Hall began to work fulltime on her art in 1984. That same year, her first major exhibition of large paintings and drawings, Saltwater Rock, was presented by the Memorial University Art Gallery (now The Rooms Provincial Art Gallery). Hall is a prolific artist and has explored many different media. Her installation piece, The Coil: A History in Four Parts, was exhibited across Canada and in Japan in 1993, and purchased by the National Gallery of Canada in 1996. In 2001, her interdisciplinary installation, New Readings in Female Anatomy, opened at the Art Gallery of Newfoundland and Labrador (now The Rooms Provincial Art Gallery). It was the culmination of six years of work and consisted of sound, mixed media drawings and prints, sculpture, poetry, and original book-works. The exhibition was mounted at the Carleton University Art Gallery in 2002, and parts of it have been installed in Vancouver, Montreal, and Providence, Rhode Island. In addition to her work as a visual artist, Hall is an award-winning art director and production designer. Her film Under the Knife: Personal Hystories was named Best Atlantic Canadian Documentary at the 1995 Atlantic Film Festival in Halifax. She also won the festival's Best Art Direction Award in 1998 for her work on the feature film Extraordinary Visitor. In 2001, Hall won the Director's Guild of Canada Award for Outstanding Achievement in Production Design for Rare Birds. Her film credits as art director / production designer also include: Finding Mary March (1988), Secret Nation (1992), Anchor Zone (1994), The Divine Ryans (1999), Random Passage (2002), Heyday! (2006), and Above and Beyond (2006). Hall is also an active advocate for artists. She has served as a member of the Canadian Advisory Committee on the Status of the Artist and as president of Newfoundland's Cultural Industries Association. She continues to exhibit in solo and group shows in Newfoundland and Labrador, throughout Canada, and internationally. Her work is found in many private and public collections including The Rooms Provincial Art Gallery's Permanent Collection, the Canada Council Art Bank, the Department of Foreign Affairs, NICHIRO Corp. (Tokyo), and the government of Newfoundland and Labrador. 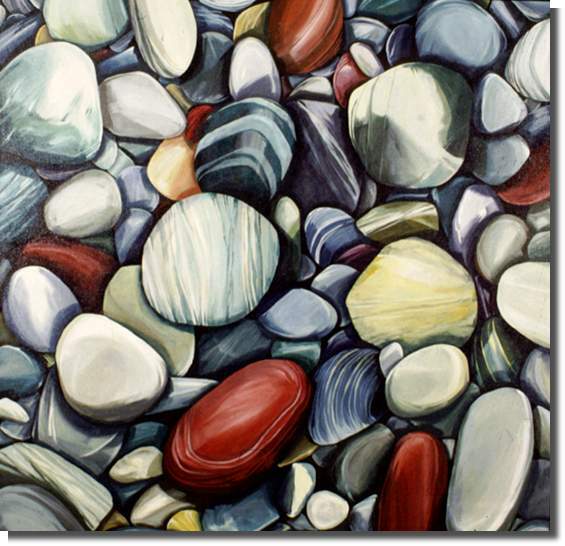 For more information on the artist and her work, visit her website: http://www.pamhall.ca/about_the_artist/.